In 4-quart Dutch oven, heat olive oil over medium-high heat. 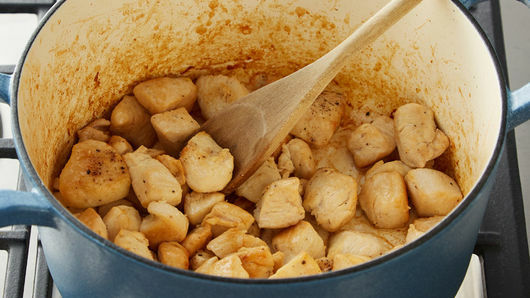 Season chicken with salt and pepper; cook 5 to 7 minutes, stirring frequently, until chicken is no longer pink. Add garlic; cook 30 to 60 seconds, stirring constantly, until fragrant. Add chicken broth, lemon juice, spaghetti and capers; heat to boiling. Reduce heat to medium; simmer 10 to 12 minutes, stirring occasionally, until most of liquid is absorbed and pasta is al dente. Stir in whipping cream; cook just until heated through. Stir in grated lemon peel; serve warm. Garnish with parsley. Serve with additional grated lemon peel or thin slices of lemon, if desired. As pasta cools, the sauce will begin to absorb into pasta. Serve this immediately for best results. 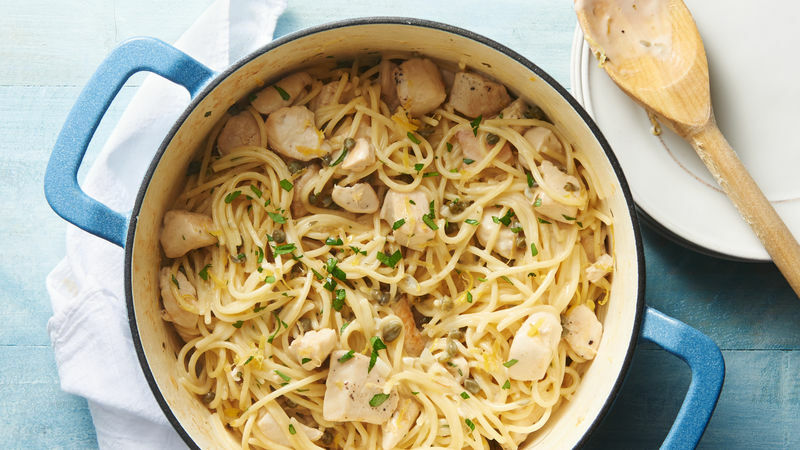 You may be wondering what piccata means; piccata is the Italian term used for cooking with a mixture of lemon juice, butter and parsley, and if you’ve made this chicken piccata pasta, you know it’s delicious! 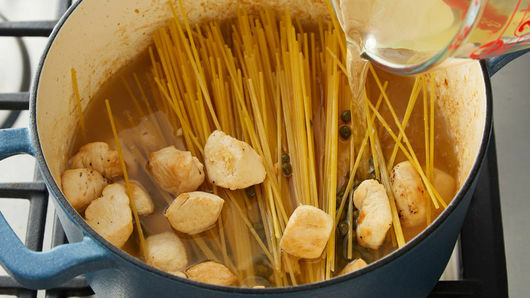 Capers are often added to dishes like chicken piccata and spaghetti puttanesca. Capers are pickled flower buds from a bush; they look similar to peas and offer a salty, vinegar-like taste—paired with the piccata sauce, the end result is an exceptionally delicious Italian dish that isn’t your average spaghetti recipe. Speaking of average, there is no excuse to make an average spaghetti dinner. Learn the basics and the hacks to make an out-of-this-world spaghetti dinner every time.